12W 65-LED Outdoor Solar Light 1500lm Radar Sensor Solar Flood Light IP65 Waterproof Wall Lamp. Output power: 12W. - pressing the mode2 to the second mode: it will be strong bright for 2 hours (you can also press the /-button to adjust the lightness, after 2 hours, it will go into mode1 automatically. ). Two lighting modes-PIR sensor / PIR sensor dim. Solar Panel: DC6V 3.6W 600mA. Light Source: 178pcs 2835SMD LED. Light color: White. Three adjustable light heads cover a wide area. Easy to install - no wiring or electrician required. 1000LM SMD 118LED Solar Lamp Outdoor Garden Yard Waterproof PIR Motion Sensor Light. 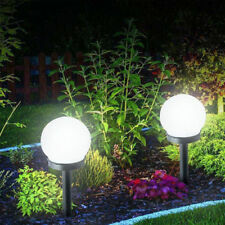 1 x Outdoor Garden Solar LED Light. Lighting modes Rated power: 7W. Light source type: 2835SMD 118 LED. 1 x Bag of Installing Accessories. Lamp: 20LED. floodlight size: 28 12(cm). Suitable for pathway, Lawn Landscape, garden or backyard. Solar panel: 6V，8W. Solar panel size: 34 13 1.5(cm). Lighting Mode: constantly. Light Color: white. Can be used in a variety of outdoor sites, such as gardens, courtyards, lawns, door entrances, wall mounted garden lights, garden lights, lawn lights, garage lights, park lights, etc. Strong water resistance, the product is suitable for outdoor landscape lighting decoration. New COB LED technology provides super bright illumination. 2X brighter than regular LED solar lights. Motion Sensor Outdoor 180 Light Sources COB LED Solar Light, 10 00LM Super Bright, with Wider-Angle Lighting Panel, Wireless Waterproof Security Lights for Garage, Pathways, Backyard. Lamp bead: 120 highlight SMD LEDs. Solar panel size: 290 x 190 x 10mm/11.4 x 7.48 x 0.39". Included: 1 x Solar LED Light. 1 x Solar Panel. Gross weight: 1760g. Net weight: 1600g. Use: lighting. Light source type: LED.